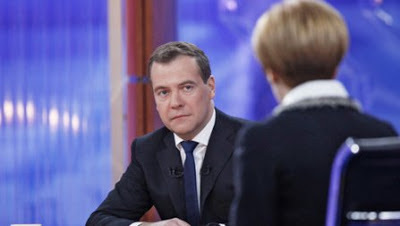 Whopper's Bunker: Did Medvedev drop the ball on UNETIDA protocols? UNETIDA, the UN sponsored international military organisation tasked with protecting the planet from would-be extraterrestrial aggressors has had it's top counter-intelligence and disinformation specialists working overtime this weekend as Russian Prime Minister Dmitry Medvedev revealed seeing top-secret files on extraterrestrials on Earth. Colonel "Whopper" Creedon, UNETIDA/UNPASID Director of Intelligence said that "a UNETIDA representative meets with high ranking world leaders, explains the situation to them and informs them of their emergency powers granted under UN laws as well as the rare situations where their military command can be superseded by UNETIDA for the good of the planet". Creedon said UNETIDA will not be giving an official response, but instead has altered press reports to include terms that made the Prime Minister seem "like a goofball" by referencing Barry Sonenfeld's Men In Black movies and making it clear from the wording of the news reports that he was joking. "It's not too far fetched that the man was joking" said the Colonel "During his presidency he showed that he had a sense of humour. Now if this was stony-face Putin doing the talking we'd be fucked. Royally fucked!"